I’m back. Has been more than three weeks since my previous posting. Many reasons, grey days, golf in Portugal and no decent web connection. But from now on posts again. 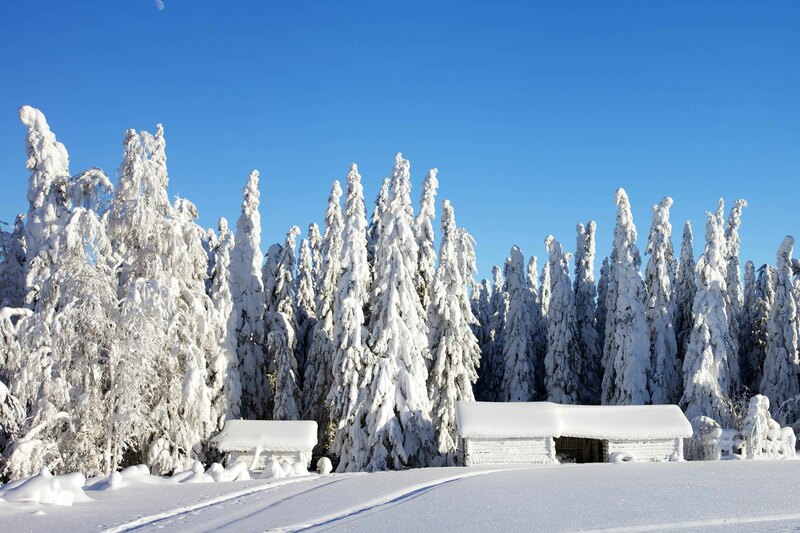 We have, close to our family place in Kainuu, a very good venue for snow photography. All white is not snow but condensed water around everything. I’ll stay still a couple of days here but head to Lapland on Monday. I can expect opportunities to shoot aurora borealis there due to heavy storms on the sun for the time being. In fact, the case is not condensation but deposition or desublimation where gas transforms into solid. This entry was posted on February 23, 2013 by Risto. It was filed under Landscape and was tagged with 16-35, canon eos5dm2, Kainuu, landscapes, My blogs and photo gallery, photography.